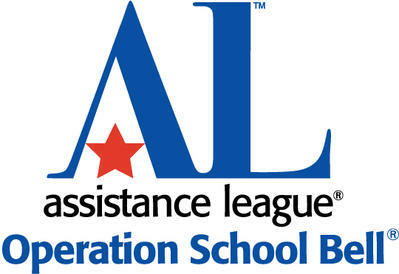 Operation School Bell is the signature philanthropic program for Assistance League chapters and chapters-in-formation across the United States, with annual budgets of over $18 million. The mission of Operation School Bell is to provide NEW clothing, shoes, books and other items to schoolchildren in need–with the goal of giving students a positive starting point for learning and academic success. 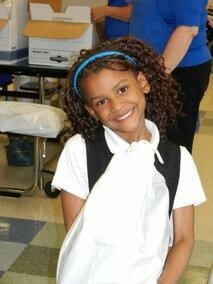 Operation School Bell is a unique program in Nashville, advancing from clothing 51 students in 2005 to over 3,200 students in 2017-18 school year. 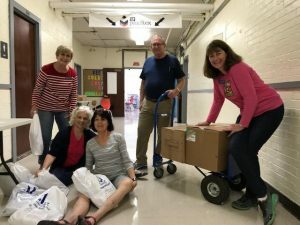 For six years, system-wide PENCIL Partner, Assistance League of Nashville, through its Operation School Bell program, has supplied impoverished elementary students with new Standard School Attire (SSA). When the district first adopted the SSA policy, which limits students’ clothing to khaki’s, collared shirts, belts (and other restrictions), many families were overwhelmed financially with the transition. Assistance League members immediately identified this as an area they could make a major impact. They set up a space to collect SSA clothing and came up with a plan to distribute to children in need. Each child that is referred by school personnel receives 2 pairs of pants, 2 collared shirts, 1 belt, 3 pairs underwear, and 3 pairs of socks. Click here to read the full article published March 14, 2014.